Household cleaning products need not be expensive. If you are looking for affordable laundry detergent and cleaning products for your family, you’ll find everything you need at Powerclean Chemicals. 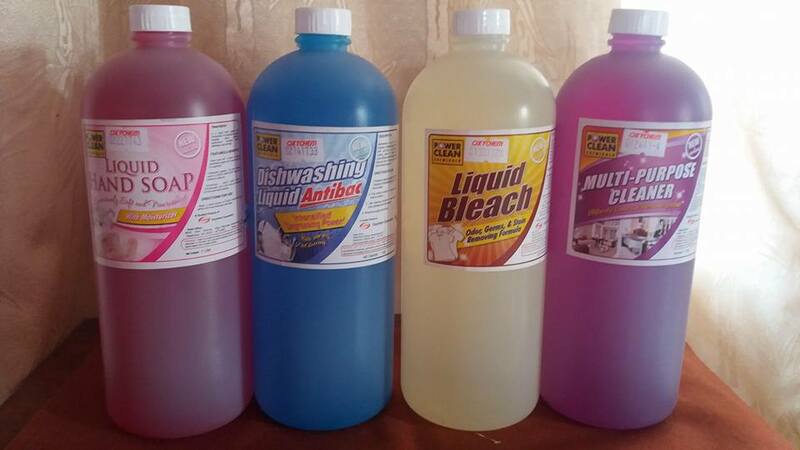 Powerclean Chemicals has a wide range of laundry and cleaning products for your everyday needs. One of the brands of Oxychem Corporation is Powerclean Chemicals tagged as “Panlinis na Mura at Dekalidad Pa” in the cleaning industry today. As one of the fastest rising brands in the cleaning chemicals business, Powerclean Chemicals have a wide variety of cleaning solutions used in many laundry shops, janitorial companies, restaurants, spa, car wash, and other industrial institutions. As a mom, I am always on the lookout for safe home cleaning products that are effective and affordable. 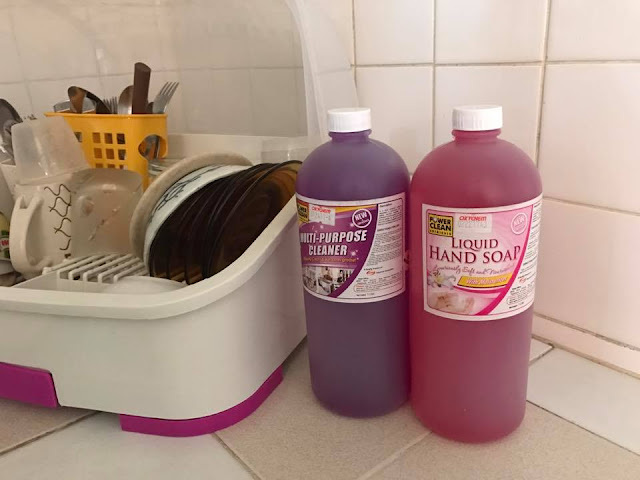 I usually buy what’s on sale to test Detergents and cleaning products that make green claims that delivered the same cleaning power of the top-rated detergents. And I'm glad to discover PowerClean products. The products cover all cleaning solutions for all industries including sanitation and disinfection. Best of all, PowerClean uses eco-friendly ingredients! This company offers products are made from natural, non-toxic ingredients that get dirty jobs done! Its certifications from the Food and Drug Administration (FDA) and Philippine Drug Enforcement Agency (PDEA) guarantee safe manufacturing products that are of high quality and efficacy brighteners so people can get their clothes and their dishes clean even as they keep their environment green. 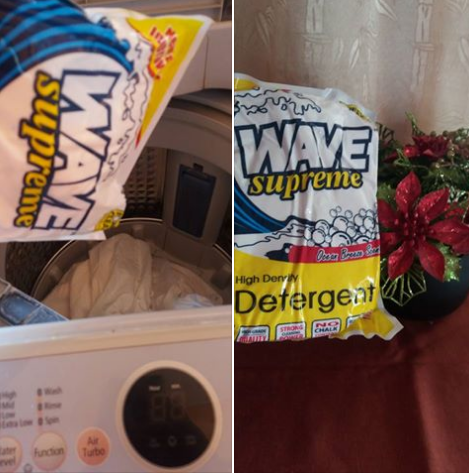 Their WAVE SUPREME high-grade powder detergent formulated for all types of fabric has the stain-fighting power I was looking for. Its strong cleaning power can effectively remove dirt! You can bring on all stains from tea, clay, chocolate, etc. and it get all clothes clean! I love that fact that it has brighteners that get clothes clean even as PowerClean keep the environment green! PowerClean's Multi-Purpose Cleaner is good for cleaning basins, floors and bathroom walls. Aimed at meeting the need for healthier cleaning choices, the Multi-Purpose Cleaner is formulated to soften dirt, remove grease and oil from any surface. I used the LIQUID BLEACH as stain and odor remover. 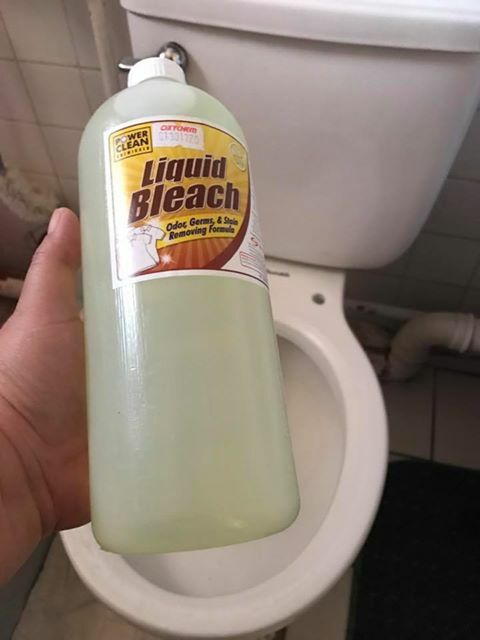 It is a mild and safe bleach contains sodium hypochlorite and releases chlorine for disinfection and all-surface cleaning. I fins it effective in removing stains from white fabrics as well. The Dishwashing Liquid Anti-bac is a good all-purpose dishwashing liquid alternative for the efficient removal of grease, fats and oils in the kitchen. Its anti-bac and intensified grease-cutting power formula really makes a difference! The Liquid Hand Soap keeps our hand soft as it cleans. I love that it has moisturizer and mild formula! As you do your research on natural household cleaning products, consider PowerClean. It is high time you let go of the brands as you attempt to shift to your new green lifestyle. Let PowerClean help you in choosing green products and services to fit your lifestyle. PowerClean is your one-stop shop for Cleaning Products. Visit www.powerclean.com.ph for more information.